← Joint Managing Director Jonathan King is getting into gear for charity next month! 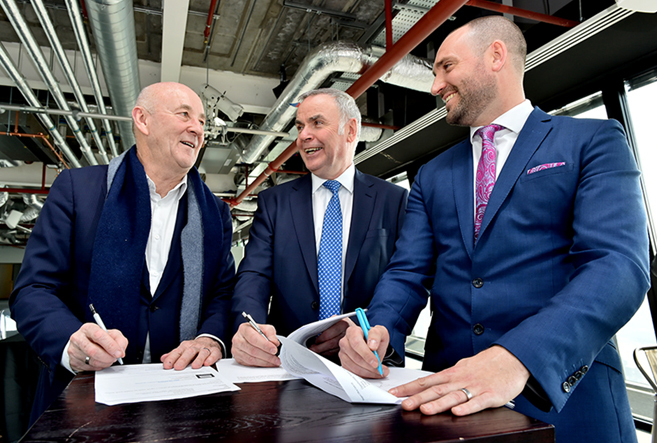 National building support services contractor, Regent Samsic has acquired London-based JPC Cleaning Ltd (JPC). The acquisition accelerates Regent Samsic into the upper echelons of the UK soft services supply sector and boosts substantially its share of the prime London region marketplace. Established in 1987 by managing director John Conry, £7m turnover JPC employs 330 personnel providing award-winning cleaning solutions for many of London’s most prestigious buildings and office parks including The Leadenhall Building, City of London (the city’s tallest building, fondly referred to as the ‘Cheesegrater’), Harrods Estates, Chiswick Park, Broadgate Estates, Singapore Airlines, Blackstone Group, Jones Lang LaSalle and the Ritz Casino. 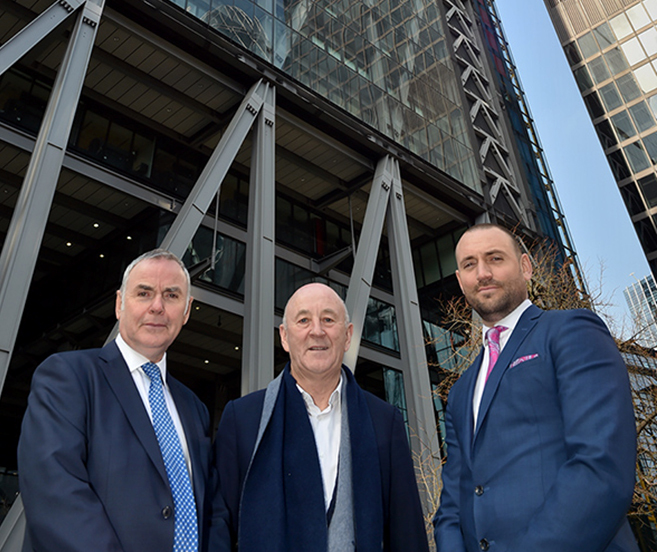 John Conry and his son, operations director John Conry Jnr are to stay on with the Bishopsgate EC2-based business which will continue to service its client base autonomously from Regent Samsic’s London division. Based in St Katharine’s & Wapping, Regent Samsic London provides professional cleaning, security and related soft services to a diverse portfolio of client sectors located in the city and the Home Counties. 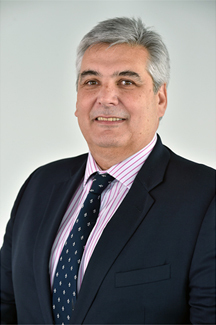 “JPC is a first-class business that’s well-known to London specifiers so we’re all delighted to have John and his team joining the Regent Samsic family,” says Regent Samsic joint managing director, John Critchell. 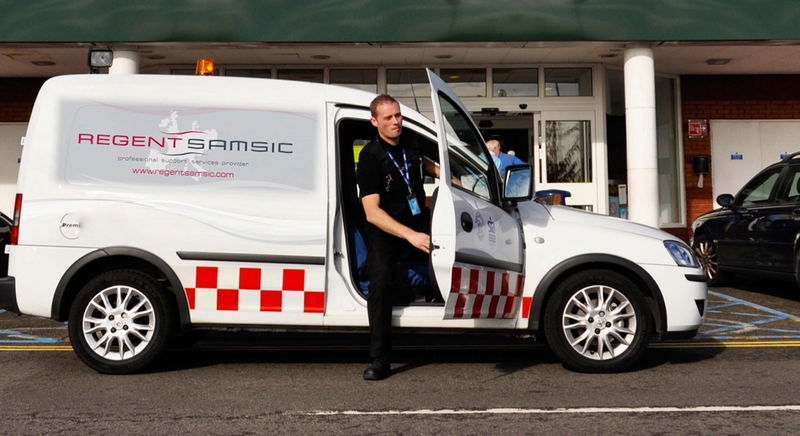 Regent Samsic is a subsidiary of Groupe Samsic, one of Europe’s largest soft services providers employing 70,000 people on a group sales turnover of €1.6 billion. 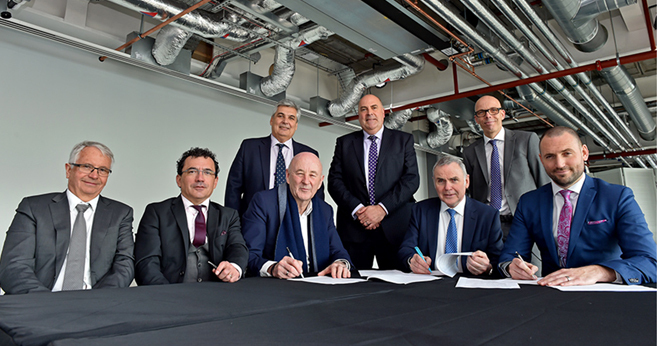 Founder and president, Christian Roulleau together with key Groupe Samsic senior management members attended the formal signing of contracts with their UK counterparts and JPC directors during a day visit and tour of the company’s prime London client sites, including The Leadenhall Building, City of London and Ritz Casino. “We see this very much as a merger rather than an acquisition, and one offering great benefits to both parties with best practices to be shared from both sides. “Regent Samsic London acquires a solid platform to grow and develop further its Greater London market portfolio on the back of some excellent reference sites supported by an enhanced professional operational team.